This dress is a retro-style, tea length wedding dress that will be perfect paired with a pill box veil. 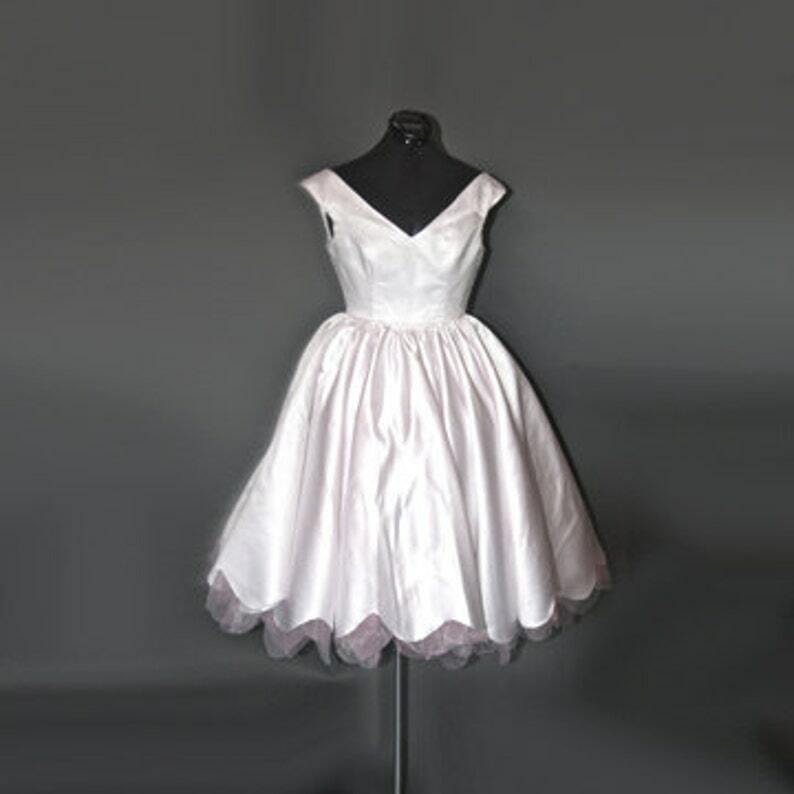 The dress is made of white satin with pink and ivory chiffon details. It has a wide V neckline and a tea length skirt with a scalloped hem and scallops of pink and ivory peeking out from the bottom. The back has a looped lacing with a thick white satin tie. Skirt length from narrow of waist to hem is 28"